I am sure you must have witnessed drastic transformations in the transportation industry over the past few years. The Cab dispatch software of radio taxi system has revamped the entire process of how we travel in and out of the cities. The radio taxi business has evolved as one of the fastest growing businesses in the transportation sector in various countries of the world. The way radio taxi business is performing today is highly impressive. 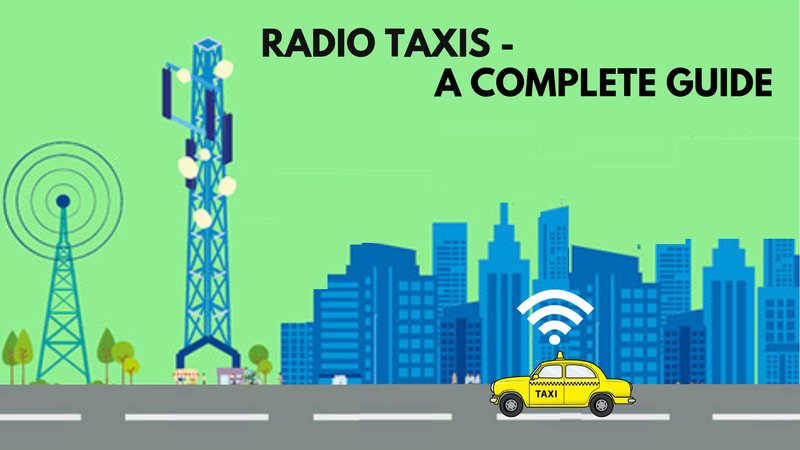 Here, we shall give you a complete guide to radio taxi solutions. A taxi that operates through radio signals is largely referred to as radio taxi. When a customer who is need of a ride rings up the helpline number of the radio taxi service, the operator on the desk communicates with the driver through radio signals in an effort to locate the nearest taxi. Once this is located, the taxi reaches the customer as per his request at the specific place and time. There has been a rising demand for radio taxis because of an uncomfortable and non-punctual public transport system in metros as well as non-metros. In an effort to keep pace with the hustle of the metro city, the need for radio taxis is widely recognized by commuters. Usually, such radio taxis are managed by a corporate company which has 24/7 call center service in place and a GPS tracking system within cars to track the cabs. Suppose a customer wants a ride from point A to point B. He calls the service and requests for a taxi. The operator at the call center will call the available taxi that is the nearest to the customer’s location and send the taxi to him. All radio taxis are connected to the GPS equipment and a centralized system. This will inform the operator about which taxi is free and available to attend the next customer. Charges for the ride are based on the distance of commuting and this system works well in metropolitan cities. Radio taxi service is quite different from other ride sharing services like Uber and Ola in terms of regulations and licenses granted by the government. All the drivers need to have transport badges/licenses that are issued by the transport department. A complete background verification process of the driver is mandatory on the part of all cab drivers. Compared to another hailing/ride sharing mobile app services where there are not many rules and regulations when it comes to safety features, there are a few prerequisites for a radio taxi service. There are multiple industrial entities that has been responsible for the Radio taxi industry to rise to where it is today. There are a lot of the investors and entrepreneurs who are trying to enter the market. In short, investing in a radio taxi business has become the most viable option more than ever. Few of the reasons why the radio taxi industry is growing are described below. It is a true fact that public transport facilities are still not in a developed state in many parts of the metro cities. As a matter of fact, modern and safe, comfortable transportation facilities are hardly available. This is the main reason why many customers are ready to pay a higher price for comfort and safety and in turn boosting the radio taxi market. The tourism industry in the world has grown exponentially in the last decade. The number of foreign visitors in popular tourist destinations such as U.S., U.K., India, and Canada is growing consistently every single day. And their figures are still expected to rise. This also has aggregated the demand of radio taxis all over the world. The corporate sector along with metro cities such as New York are creating a significant growth opportunity for radio taxi businesses. Also, the majority of young working-class bland corporates from such metro cities prefer radio taxi services due to enhanced convenience and guarantee of safety. Today, consumers are shifting their commuting choice from traditional yellow taxis to modern radio taxis that are equipped with AC, 24×7 customer support and other tangible features along with the most important feature: assurance of their safety. However, despite these factors that are boosting the radio taxi market, there are many radio taxi providers who often face challenges in the taxi industry. I am sure all of you must be familiar with the Delhi Uber incident. Post this incident, it has come to the realization of the commuters that these ride-hailing services are not as safe as the company makes them look like. Now, companies such as Uber has promised the government that it will bring in more clarity in background verification system of its drivers. When it comes to the question of reliability and convenience, both the aggregator services and a regulated service appear to be the just the. However, upon taking a closer look at it, we can see that the aggregator companies do not disclose much about the liability of the conduct of the drivers that they employ for their cars. As you would have guessed by now, obtaining the precise location of the cabs in radio taxi business is still a challenge for some of the businesses. Drivers often get confused when they are out finding their customers on their given address. Overall, this generally leads to a delay in the trip, making the customer rather unhappy. You will be knowing this, but to put it out there, many consumers have turned to ridesharing apps like Uber for their daily transportation. Such apps have their own distinctive feature of obtaining user location, thereby helping drivers instantly find their passengers and pick them. But, in the case of radio taxi, passengers still have to contact the helpline number to book a taxi for a ride and the main problem arises of finding the passenger at the given address. In order to resolve this problem, an advanced manual taxi dispatch system can be put in place where the driver can get the passenger details to include pickup location, drop off location, and passenger details on his smartphone. Today, we have companies like IOSS that provide Uber-like app development services for those who want to shift from manual dispatch to mobile app. By now, I am assuming that you are already aware of the process if how a radio taxi works: when a passenger needs a cab, s/he needs to call Taxi helpline number for getting one, give details to the operator and wait for the driver to land up on their doorstep. The problem here is that passengers cannot know when their drivers will arrive, or where is the driver at that particular moment. This entire process can be broken down with a mobile app solution. As a matter of fact, many taxi businesses have done it already. Mobile app solution provides real-time tracking feature to know the exact location of drivers an estimated time to arrive for pick up the passenger. This in-turn gives peace of mind to the customers. You can either choose to hire mobile app developers to build the app for you or directly use certain ready made solution which can help in simplifying the manual dispatch operations. By this, you can obtain precise location and receive payments through app directly very easily. So, If you own a budding taxi business or a fleet of cars, you can easily upgrade your business process by shifting from the old technology to mobile app platform from traditional manual dispatch software. By doing so, you can simplify your business to a great extent. Customers are allowed to directly book a taxi from the app and the drivers can receive complete details of the passenger in the driver app. If you want a custom solution just like the one mentioned above, Contact Infinite Cab today!